Do you think Cardi will go off the grid? Cardi B has had enough and she’s letting her fans know it. Cardi has been loving the spotlight since her breakout song Bodak Yellow, but things have changed since she’s had her little girl. 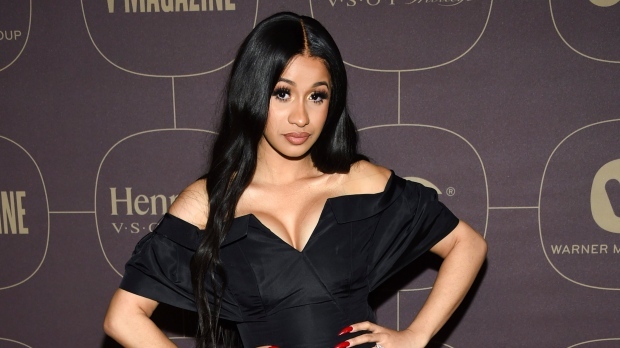 In a rant caught on video, Cardi goes on to express how irritated she was when fans harassed her while she was pregnant and how nosey they were about her marriage. She also describes how her child is getting death threats and how she had to hire a private investigator to look into some extra crazy fans. And she says she now understands why other celebrities deal with substance abuse issues: All she asks is for some space. It’s no wonder Cardi is asking for some space as the media has been all over her drama lately. Cardi is currently feuding with Nicki Minaj, and was caught throwing a shoe at her during fashion week and is also in some drama with YouTuber blacswan, who claimed that Cardi B was her worst client ever. But now Cardi might be ready for things to calm down for the sake of her family. Cardi married rapper Offset in September of last year and they welcomed their daughter, Kulture. And rumor has it…Cardi might want some more babies. So it it then end of Cardi B? Some fans, especially those in the Nicki Minaj camp, think Cardi’s time has come and gone. But Cardi has fans in high places — like Fran Drescher, who apparently is in talks with Cardi’s people for a reboot of The Nanny, starring Cardi as Fran’s daughter. Do you think Cardi will go off the grid? Let us know in the comments or on Twitter at @WhatsTrending.